The artist I chose was Salvador Dali. When I was younger, my dad bought Salvador Dali's rendition of the last supper. I really enjoyed this piece of art, even though it is one of his more milder paintings. 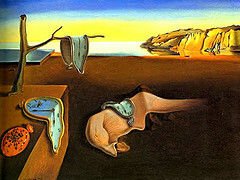 It wasnt until I saw his other paintings that I truly started to enjoy his work. His art is abstract and all over that place, yet still very detailed and full of color and meaning. Next my dad got another one, I cant remember the name but it has a guy kneeling with a cross before a huge elephant horse. Both of these are his "milder: paintings but I still enjoyed them and they brought me into things like "The Persistence Of Memory"
The second link is "http://www.biography.com/people/salvador-dal-40389" and it has a more extensive biography of his life, showing less of the artwork but fully delving into who he is and was. 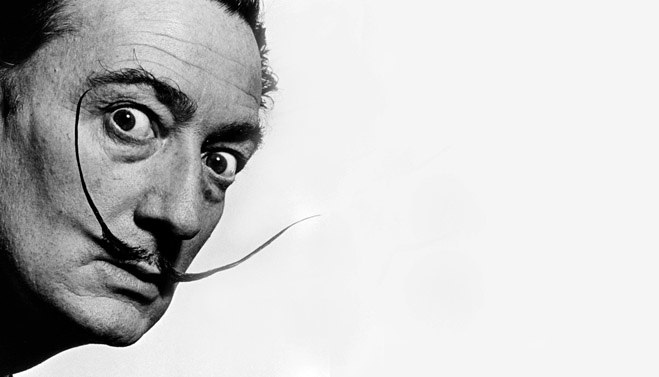 The third link is "http://listverse.com/2014/03/28/10-bizarre-facts-about-salvador-dali/" which has 10 interesting facts about a very popular artist.